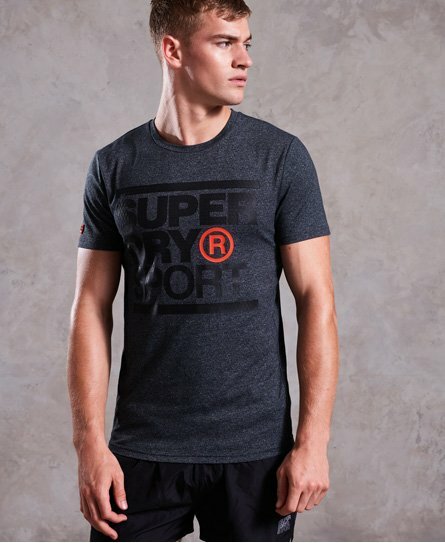 Superdry men’s Core graphic t-shirt. This short sleeve t-shirt is perfect for working out in this season. It is made with moisture wicking, quick dry fabric and features a textured graphic logo on the front. The Core graphic t-shirt is finished with a Superdry Sport logo badge on the sleeve.